Benny Bizzie is a name you may well recognise having been on the UK music scene for almost 10 years. The London artist has worked with established acts such asWretch 32, Dot Rotten, Ghetts, BBK, and Ruff Sqwad and producers such as H-Money, Wizzy Wow, and Truth plus, at the end of 2013, a nod to his continued success and work came in the form of two nominations at the Urban Music Awards alongside Ghetts, Ed Sheeran, Daley & Fuse ODG. 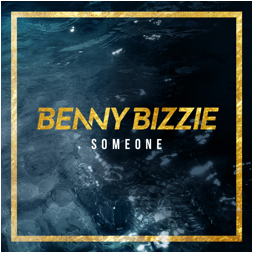 On new single ‘Someone’ Benny Bizzie introduces a mature and sensuous mood via the R&B production filled with synths, piano and heavy drums that flow naturally with the melodic vocal. The lyrics elegantly lay out a scenario, which shows how a man can reassure a lady who’s fearful of new love and is teamed with an equally enchanting, classy yet simplistic video. Look out for the brand new project from Benny Bizzie titled ‘The Traveller’ which is set to be released October 15th 2014!